Anamorphic Lens Flares is out of preview now. ASCII effect has been re-coded mostly on the blueprint. Monitor Effects has been re-coded fully on the blueprint. The Monochrome effect has been re-coded mostly on the blueprint. Blur HLSL code is now inside its dedicated Material Function. HSV Limiter HLSL code is now inside its dedicated Material Function. A new algorithm for Camera Shake. Haunted Texture field has been added to Haunted effect. Monitor Effects Tiled field has been added to Monitor Effects effect. Camera Shake Frequency field has been added to Camera Shake effect. Disco Ball WS Center field has been added to Disco Ball effect. Glitch Grid Distortion Power field has been added to Glitch effect. 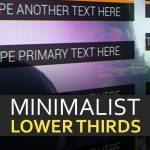 Glitch Grid Distortion Size field has been added to Glitch effect. 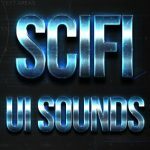 Glitch Grid Distortion Speed field has been added to Glitch effect. New Chameleon bounding box color. Blur Amount default value changed to 2.0 (was 0.2). Blur Samples default value changed to 3 (was 24). Comic Pattern Line Count default value changed to 2 (was 6). Sketch Power default value changed to 15 (was 4). Camera Shake Power default value changed to 0.08 (was 0.01). Edge Detect Threshold default value changed to 0,4 (was 0,037). ASCII Color Multiplier default value changed to (R=1.000000,G=1.000000,B=1.000000,A=1.000000) (was (R=1.000000,G=1.000000,B=1.000000,A=0.000000)). Comic Blend Color default default value changed to (R=1.000000,G=1.000000,B=1.000000,A=1.000000) (was (R=1.000000,G=1.000000,B=1.000000,A=0.000000)). MonochromaColor default value changed to (R=0.000000,G=0.491777,B=1.000000,A=1.000000) (was (R=0.000000,G=0.491777,B=1.000000,A=0.000000)). Scratches Color default value changed to (R=1.000000,G=1.000000,B=1.000000,A=1.000000) (was (R=1.000000,G=1.000000,B=1.000000,A=0.000000)). Drawing Blending Color default value changed to (R=0.239583,G=0.201165,B=0.192166,A=1.000000) (was (R=0.095000,G=0.069215,B=0.063175,A=1.000000)). Disco Ball Color 1 default value changed to (R=0.000000,G=82.978966,B=500.000000,A=1.000000) (was (R=0.000000,G=0.829791,B=5.000000,A=1.000000)). Disco Ball Block Scale default value changed to (X=0.060000,Y=0.060000,Z=0.060000) (was (X=1.000000,Y=1.000000,Z=1.000000)). Distance Fog Far Color default value changed to (R=1.000000,G=1.000000,B=1.000000,A=0.135000) (was (R=1.000000,G=1.000000,B=1.000000,A=0.025000)). CR_CGA recipe has been updated for better visuals and to match the latest package workflow. CR_FakeIR recipe has been updated for better visuals and to match the latest package workflow. CR_MissingTape recipe has been updated for better visuals and to match the latest package workflow. CR_Underwater recipe has been updated for better visuals and to match the latest package workflow. New feature: Distance masking for all effects. Blend Mask Scale field has been added to all effects (under advanced tab). Blend Distance field has been added to all effects (under advanced tab). Blend Distance Sharpness field has been added to all effects (under advanced tab). Blend Distance Invert field has been added to all effects (under advanced tab). Fix: Corrected UV positioning in all effects. Fix: Corrected Sketch pattern animation. Algorithm for Comic effect has been updated for better visuals and performance. Comic effect’s PreMultiplierproperty now has a default value of 10.0 (was 5.0). Edge Detect effect is now before tone mapping. Edge Detect effect’s Threshold slider range is now 0.001/10 (was 0.001/1). World Splash Tiling field has been added to World Splash effect. Fix: Kuwahara is now before tone mapping to prevent “black lines & dirt” in the final image. 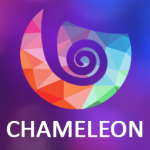 Fix: Enable/Disable option of Chameleon should now work as expected in PIE. Fix: Raindrops now have the proper ratio on the screen. Fix: Snowflakes now have the proper ratio on the screen. Fix: Radial Blur effect now centers itself correctly after resolution change. Fix: Effect masking UV now have the proper ratio on the screen. Letterboxing Texture field has been added to the Letterboxing effect. Radial Blur Center field has been added to Radial Blur effect. Radial Blur Sample Offset field has been added to Radial Blur effect. Radial Blur Mask field has been removed from the Radial Blur effect. Radial Blur Mask X Speed field has been removed from the Radial Blur effect. Radial Blur Mask Y Speed field has been removed from the Radial Blur effect. New feature: Now all effects have their own Blend Mask slot for masking the effect with a grayscale texture. New feature: Two new paper textures. New feature: Enabled option has been added to Chameleon Settings. New feature: All effect parameters have been exposed to cinematics. Fix: Colorize is now respects the Blending mode. Fix: Chameleon volume will not block the physics objects anymore. Fix: Squares effect now has correct 1:1 ratio by default. Fix: Fixed an issue on 2D Transform region clamping. No more stretched out-of-bound texture edges. Common features (like Custom Depth, Blending Mode, etc..) for all effects have been moved to “Effect_Name – Advanced” section as taking future extensibility and maintenance into consideration. Huge refactoring on Chameleon blueprint’s variable names (effect parameters). Now it’s easier to find a variable related to an effect since all variable names are now contains a parent effect’s name as a prefix. Circles effect recreated as it is now a full blueprint. Blur effect recreated with dynamic sample count selection. Blur Samples field has been added to Blur effect. Radial Blur Mask X Speed field has been added to Radial Blur effect. Radial Blur Mask Y Speed field has been added to Radial Blur effect. Ice Color field has been added to Frost effect. Samples field has been added to Mask Blur effect. Noise Algorithm field has been added to Drawing effect. New default values for Drawing effect. 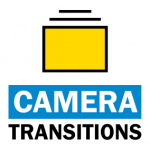 New default values for Magic Transitions effect. TV Noise effect recreated from scratch with the new and more realistic noising technique. Iridescent effect’s upper Iridescence value limit is now 1.19. New default values for the Iridescent effect. Edge Detect effect’s upper Edge Threshold value limit is now 1.0. New default values for Edge Detect effect. Desaturation field has been added to the Comic effect. Pre Multiplier field has been added to the Comic effect. 2D Transform Background Color field has been added to 2D Transform effect. The Tiled field has been added to 2D Transform effect. ASCII Pre Multiplier field has been added to the ASCII effect. Highlight Color field of the Custom Depth Highlighter effect was renamed as Custom Depth Highlighter Highlight Color. Highlight Opacity field of the Custom Depth Highlighter effect was renamed as Custom Depth Highlighter Highlight Opacity. (C) Highlight Color field of the Custom Depth Highlighter (Clip) effect was renamed as Custom Depth Highlighter (C) Highlight Color. (C) Highlight Opacity field of the Custom Depth Highlighter (Clip) effect was renamed as Custom Depth Highlighter (C) Highlight Opacity. Custom Depth Highlighter Outline Color field has been added to Custom Depth Highlighter effect. Custom Depth Highlighter Outline Opacity field has been added to Custom Depth Highlighter effect. Custom Depth Highlighter (C) Outline Color field has been added to Custom Depth Highlighter (Clip) effect. Custom Depth Highlighter (C) Outline Opacity field has been added to Custom Depth Highlighter (Clip) effect. Deprecated effect: Floating effect has been deprecated. (Still available for blueprint calls but it’ll be removed completely from the package in next update). Deprecated effect: Wobbly effect has been deprecated. (Still available for blueprint calls but it’ll be removed completely from the package in next update). Deprecated effect: Mask Blur effect has been deprecated. Now all effects have their own Blend Mask slot. (Still available for blueprint calls but it’ll be removed completely from the package in next update). Deprecated field: Radial Blur Mask field has been removed from the Radial Blur effect. Now all effects have their own Blend Mask slot. (Still available for blueprint calls but it’ll be removed completely from the package in next update). New feature: Editor gizmo and icon component for Chameleon actor. New feature: Front-end effect priority settings through the details editor window. Sharpen is now after tone mapping for better output quality. Animation Speed field has been added to Drawing effect. Radial Blur Mask field has been added to Radial Blur effect. Splashes Amount field has been added to Screen Drops effect. Splashes Intensity field has been added to Screen Drops effect. Splashes Tiling field has been added to Screen Drops effect. Bump field has been added to Screen Drops effect. Layer 1 Noise field has been added to Screen Drops effect. Layer 2 Noise field has been added to Screen Drops effect. Layer 3 Noise field has been added to Screen Drops effect. Diffuse Intensity field has been added to Screen Drops effect. Diffuse Color field has been added to Screen Drops effect. New default values for Screen Drops effect. Use Diffuse Buffer field has been added to Toon Shading effect. Tint field has been added to Screen Damage effect. Screen Damage effect is now covering the entire screen correctly. Magic Transitions effect is now covering the entire screen correctly. Pulse effect now has correct distortion parameters. Near Multiply field of the Distance Fog effect was renamed as Near Color. Fog Color field of the Distance Fog effect was renamed as Far Color. Distance Fog effect was recreated from scratch. New default values for Distance Fog effect. Scaling algorithm has been changed for the Screen Decals effect. Screen Decals effect is now using the screen aligned UV for positioning the decals (0-1). Slot 1 – Rotation field has been added to Screen Decals effect. Slot 2 – Rotation field has been added to Screen Decals effect. Slot 3 – Rotation field has been added to Screen Decals effect. Slot 4 – Rotation field has been added to Screen Decals effect. Blocking feature of the Glitch effect has been fixed. 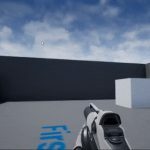 Assets’ names refactored to meet Unreal Engine 4 official guidelines. New feature: All effects now have “Custom Depth” option. New texture and new default values for Screen Damage effect. Color space changed from RGB to HSV in Colorize effect for better color outputs. ASCII effect now contains a new field: Color Multiplier. Edge Detect effect now contains a new field: Edge Threshold. Drawing effect now contains a new field: Liner. Scratches effect now contains a new field: Noising. Fixed ratio problems with tiles in Mosaic effect. Fixed missing return nodes inside effect blueprint functions. Fixed “Distance Fog” material instancing function to improve performance. Fixed “Bleach Bypass” material instancing function to improve performance. TV Noise effect now can be viewed correctly in the editor without playing the scene. Fix: Unintended constant pausing caused by the material instancing technique. Fix: Screen Waves black border issue.